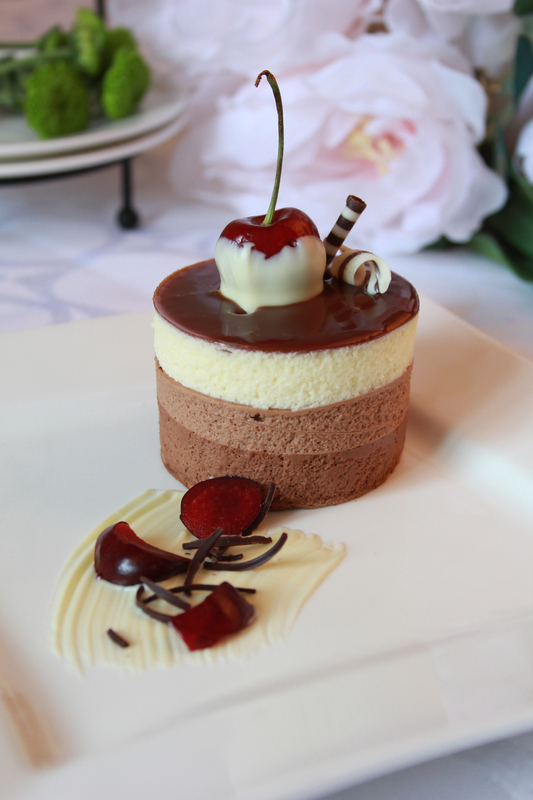 By simply adding sauces and garnishes, you add visual appeal and increase the perceived value of your dessert. 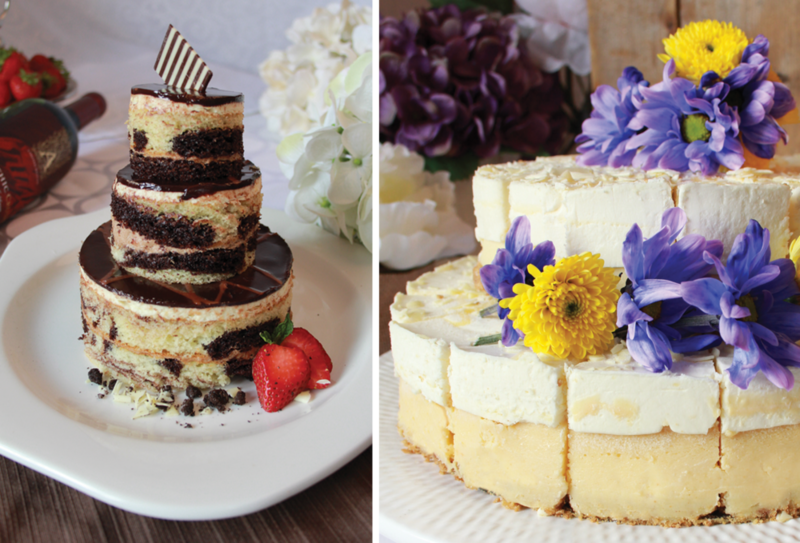 LOOKING TO DRESS UP YOUR BANQUET TABLE OR CREATE A WEDDING CAKE? Transform a sheet cake with large round cookie cutters and create a wedding cake that would make any mouth water! 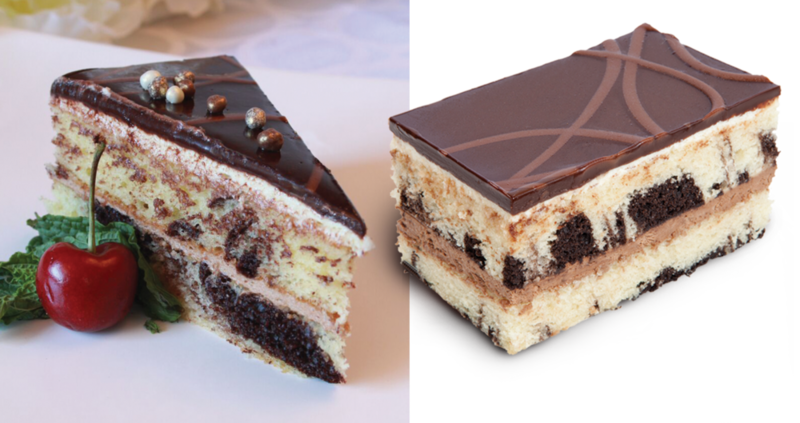 Try layering our 7” BabyCakes! with our 10” cakes. Mix and match flavours to satisfy everyone’s cravings! 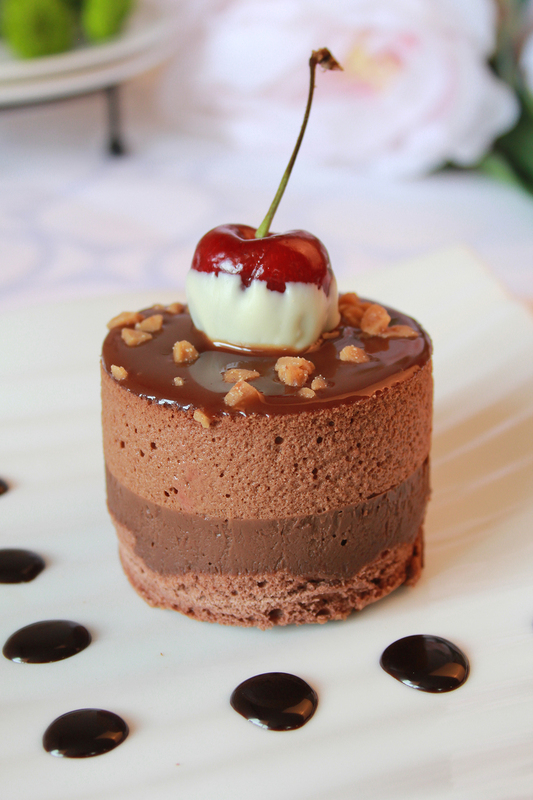 Another technique is to deconstruct the dessert: Try slicing it into a different shape or chopping it up before adding garnish. "A LITTLE FRUIT, CHOCOLATE SHAVINGS AND EDIBLE FLOWERS ARE A SIMPLE WAY TO MAKE YOUR PRESENTATION POP AND CREATE A WOW-FACTOR IN A MATTER OF MINUTES!" These increasingly popular single-serve desserts can be easily dressed up. Simply add a topping or decorate the plate with sauce and/or fruit! Simply adding toasted marshmallow and garnishing with strawberries turned our Chocolate Caramel Brownie Sheet Cake into a decadent S’more Cake! Don’t let a sheet cake limit your imagination! These versatile sheets can be cut to any shape or portion size. Enhance with simple garnishes. Wedding Anniversaries). Apply garnishes to reinforce the theme. Get creative with our Tower of Power Cheesecake—the perfect blank canvas. Cut it up into bite size pieces, add ice cream, cherries, and chocolate sauce for a unique Sundae!